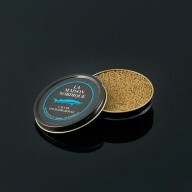 « The secret of making caviar is the quality of the breeding farm and the know-how of passionate people. » Caviar is the signature product of LA MAISON NORDIQUE and has enabled the company to establish its reputation for many years. 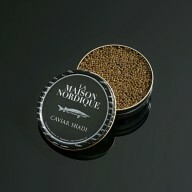 Rigour, obsession for quality and product excellence are the watch-words of the caviar produced by LA MAISON NORDIQUE. Sought after by the biggest companies and many top chefs (Eric Frechon, Guy Savoy, Joël Robuchon, Georges Blanc, etc. 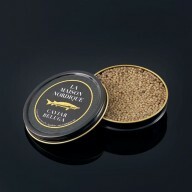 ), LA MAISON NORDIQUE’s caviar is acknowledged for its impeccable quality. While it is forbidden to import wild caviar into Europe, the caviar bred in Sologne is considered one of the best in the world. Regularity, quality and freshness are the unquestionable strengths of this exceptional, 100% French caviar, which the most demanding connoisseurs can recognise from many. 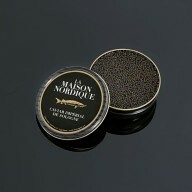 Caviar Impérial de Sologne from LA MAISON NORDIQUE is known for its unrivalled quality. The grain is firm, it has a slight iodine flavour and it has the perfect balance of salt. In the mouth, Caviar Impérial de Sologne reveals its intensity thanks to subtle notes of walnut and hazelnut. Its shiny appearance is difficult to resist. To reach this level of quality, LA MAISON NORDIQUE controls its entire production chain, with an exclusive breeding farm in Sologne where passionate fish farmers, Vincent and Patricia Hennequart, ensure that the 50,000 specimens of sturgeon grow in optimal conditions. 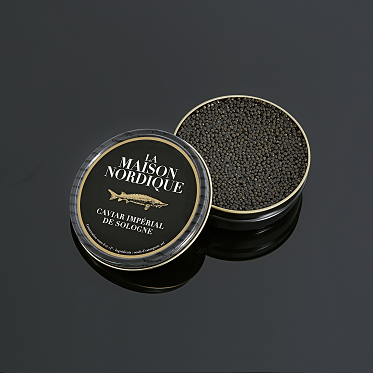 To adjust to demand and to customers' tastes, LA MAISON NORDIQUE also proposes other varieties of caviar from the best breeding farms.